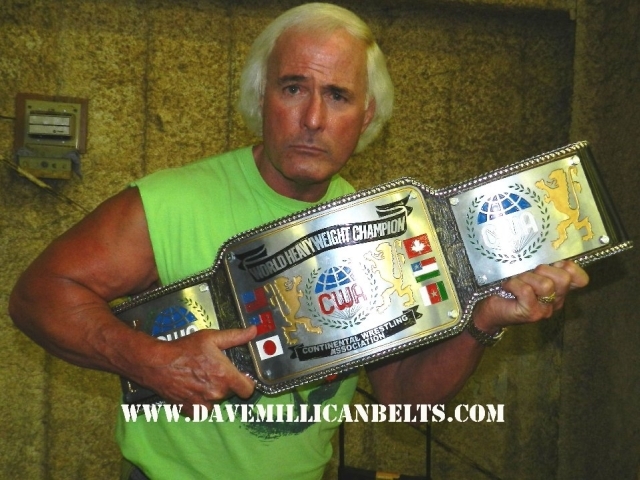 Austin Idol has wrestled in: Mid-Atlantic, AWA, USWA, CWA, Georgia, NWA, Florida, Global. 1975: Austin Idol was involved in a plane crash, along with Gary Hart, Buddy Colt, and Bobby Shane (who died). 1978: Austin Idol first won the AWA Southern Heavyweight title from Jerry Lawler on Christmas night. ~~~They feuded for the first few months of 1979 before Idol lost a “Loser Leaves Town” match to Jerry Lawler. February 18, 1980 WWF: Austin Idol defeated Jose Estrada at Madison Square Garden in New York City..
Austin Idol was managed by Jimmy Hart and Paul E. Dangerously at different times during his career. Austin Idol teamed with Tommy Rich to feud with Jerry Lawler and Bam Bam Bigelow. April 27, 1987: Austin Idol defeated Jerry “The King” Lawler in a Steel Cage match to win the Southern title. ~~~As a result, forced the King to get his head shaved in the center of the ring! 1980: Austin Idol broke a trophy over Jerry Lawler’s head. Austin Idol challenged for the NWA World title; vs. Harley Race (1980), vs. Ric Flair (1982), vs. Jerry Lawler (1988).